Geneva- The Lebanese authorities are urged to remove obstacles and revoke decisions taken against Syrian refugee children, depriving them of education in Lebanon, says the Euro-Mediterranean Human Rights Monitor. The number of Syrian children residing in Lebanon reached nearly half a million, according to the official Lebanese statistics. About 290,000 of them are out of school, making up 59% of the whole number. Since January 2015, the Lebanese authorities have imposed new residence conditions on Syrian refugees, demanding persons under the age of 15 to pay an annual renewal fee of $2,000 per person. Thousands of Syrians cannot pay this amount because of the difficult circumstances they are going through, warns Euro-Med. The conditions of residence imposed by the Lebanese authorities add to the suffering of refugees, especially with 70% of them living in Lebanon below the poverty line. This state of affairs deprives thousands of Syrian refugee students from continuing their education, with their families forced to provide school transportation and basic needs. Due to incapacity, thousands of children are forced to go for work, dropping out of school and at risk of exploitation, detention and hazardous work. On the other hand, the Lebanese authorities' oversight of workplaces is almost absent. According to Lebanese law, Syrian children are not obliged to obtain a residence permit to register in Lebanese schools. However, testimonies from refugees indicated that some school principals ordered that Syrian refugees obtain a residence permit to be admitted into schools. In addition, teachers and principals have mistreated Syrian children, including by beating children refugees as young as 6 years old. Syrian children have also been subjected to harassment and verbal abuse by Lebanese students on their way to school. These obstacles have also contributed to the rising number of children dropping out of school. 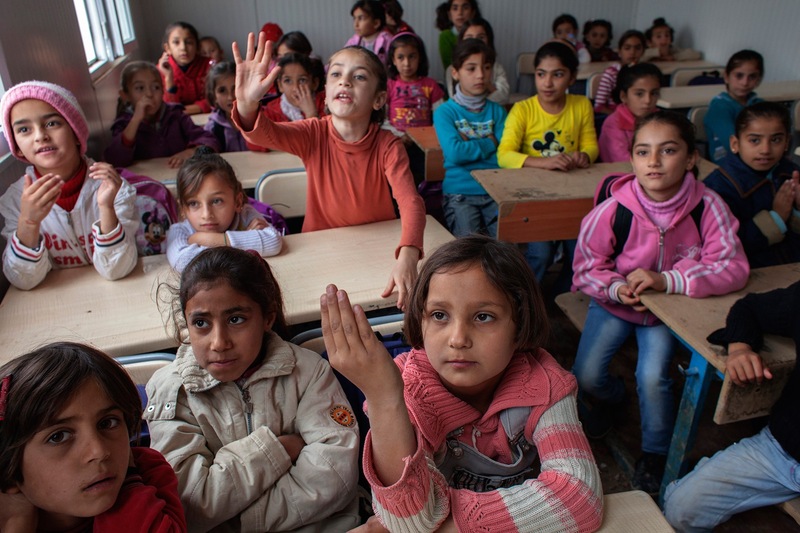 In light of this situation, Euro-Mediterranean Human Rights Monitor calls on the Lebanese authorities to remove obstacles and reverse all decisions depriving Syrian refugees from education. Unlike refugees, displaced persons find it hard to integrate and be accepted by host communities. Therefore, the Lebanese authorities should sign the United Nations Convention on refugees, recognizing their full rights instead of treating them as displaced persons.